This article provides the procedure to reset a forgotten password. If you forget your password, click on “Forgotten Password” link under the Sign In button. Enter the email address you used to register. This is often your work email. Click on reset password and a password reset link will be sent to your registered email. 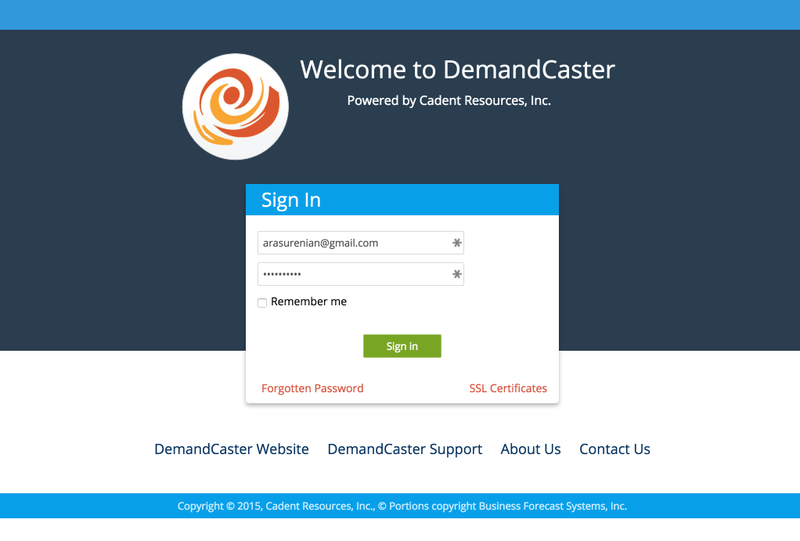 Click on link to open the DemandCaster sign in page. 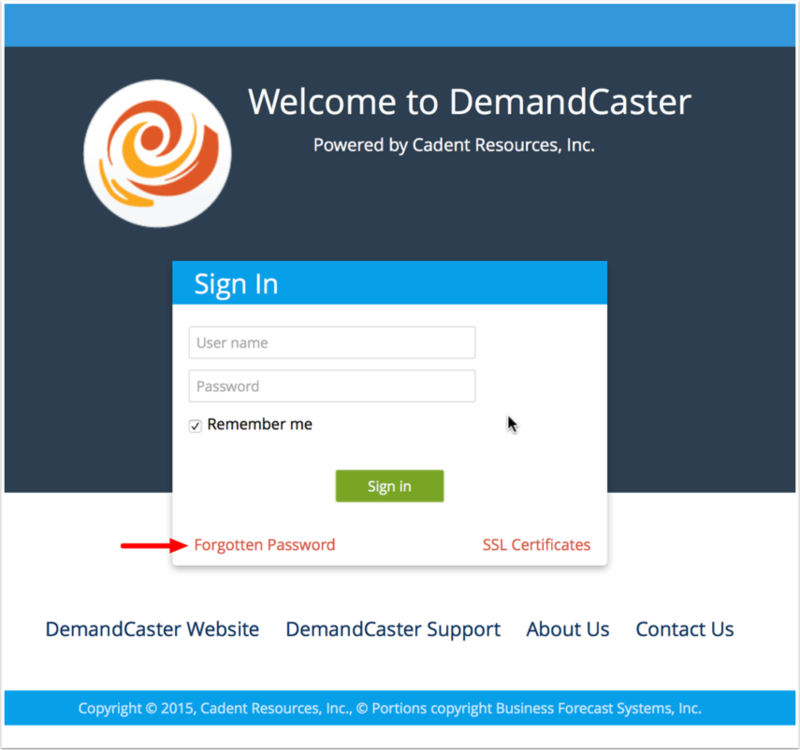 When the sign in page opens, enter your email and new password and click sign in. Once entered, create a new password and click save. 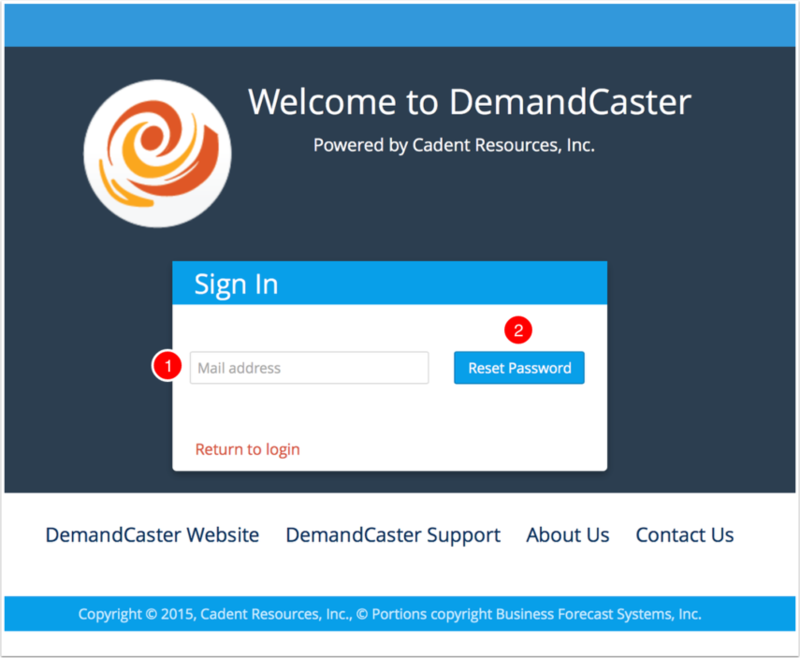 Click on any menu item to proceed working in DemandCaster.